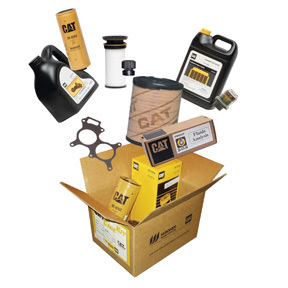 Cat Care - Wagner Equipment Co.
At specified intervals, CAT Care sends you a box that contains a Scheduled Oil Sample kit, CAT filters and all the other items you need to perform scheduled preventive maintenance on your CAT equipment. Performing scheduled maintenance on your machinery or engine is critical. CAT Care helps make it easier because we send you exactly what you need when you need it. You don’t need to worry about keeping excess inventory on hand. And, you also don’t need to be concerned about what to order each time — we keep track for you. There’s no additional cost. The cost is the same (or less) than if you purchased all the items separately. The overall cost will vary, depending on the machine/engine you have, and what you choose to include in the package. For example, you can add Corrosion Inhibitor, CAT Oils, Replacement Breathers and CAT Primary/Secondary Air Filters.